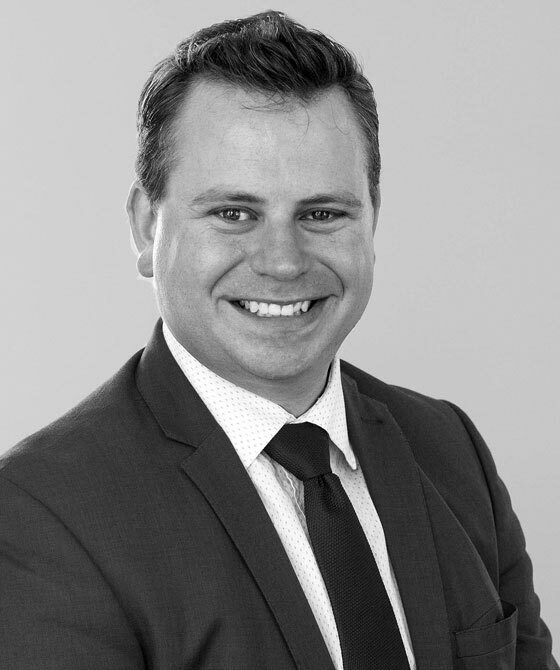 Matthew Cannings primarily practices in the property and commercial fields and, since 2013, he has also been developing his judicial review practice. Matthew has considerable experience of advocacy, drafting and advising on cases in the High Court, County Court and various Tribunals. He also advises and acts in cases at adjudications and mediations. Matthew’s property practice encompasses property litigation and landlord and tenant disputes and includes matters of easements, covenants, boundary disputes (including trespass and nuisance) and adverse possession as well as commercial and residential landlord and tenant issues including forfeiture and lease renewals. In the commercial field, Matthew has experience of insolvency matters (both personal and commercial) and contractual disputes. Matthew’s public law practice consists primarily of defendant judicial review work, although Matthew is also willing to act on claimant instructions. Matthew regularly represents the Home Secretary in immigration judicial review claims and has also been instructed by the Secretary of State for Transport and the Secretary of State for Work and Pensions. As well as judicial review work, Matthew also acts for the Department of Work and Pensions and a local authority in claims under the Protection from Harassment Act 1997. Matthew also has experience of obtaining injunctions for a local authority in relation to trespass on land forming a park and ride site and also a school. Matthew is also developing a practice in the field of sports law, building on his experience of public law and regulatory matters. In his rare spare time, Matthew is a keen sports fan; cycling, playing cricket and golf and watching pretty much everything. He also enjoys music and theatre. Matthew is regularly instructed by the State to draft statements of case and appear in the Queen’s Bench Division and the Upper Tribunal (Immigration and Asylum Chamber). Matthew’s judicial review practice primarily relates to immigration claims where he acts for the Home Secretary and he has also been instructed on behalf of the Secretary of State for Transport. He also appeared on behalf of the Secretary of State for Work and Pensions in a Child Support Agency-related substantive judicial review matter. Matthew also acts for the Secretary of State for Work and Pensions in claims under the Protection from Harassment Act 1997. In the education sphere, Matthew has acted on a number of a occasions for a local authority seeking to obtain injunctions against parents who have failed to comply with bans put in place preventing them from entering the school premises or harassing school staff. Matthew has also previously appeared on behalf of Her Majesty’s Revenue & Customs and the UK Border Agency in magistrates’ courts and the First Tier Tribunal. As well as accepting instructions for the State, Matthew is keen to develop his judicial review practice and is happy to advise and act on claimant-related cases. In October 2014, he appeared, in a personal capacity as a Roll B Agent, on behalf of three petitioners before the House of Commons High Speed Rail (London – West Midlands) Bill Select Committee who had petitioned against the Bill. R (on the application of Singh and another) v Secretary of State for the Home Department IJR  UKUT 538 (IAC),  All ER (D) 29 (Oct) – Acting for the Defendant in two substantive judicial review matters, heard together, involving challenges to refusals to grant entry clearance sought under the Tier 5 temporary workers – religious workers provisions. R (on the application of Szrajner) v Secretary of State for the Home Department  EWHC 2529 (Admin),  All ER (D) 3016 (Jun) – Acting for the Defendant in a substantive judicial review matter involving an allegation of unlawful detention and procedural issues leading to a late-adjournment application. R (on the application of A) v Secretary of State for Work and Pensions (2014, QBD) – Acting for the Defendant in a substantive judicial review matter involving a dispute as to child support maintenance payments. Repec & Repec v Director of Border Revenue  UKFTT 757 (TC) – Acting for the Respondent in an appeal relating to the seizure of almost 60,000 cigarettes and a vehicle containing the same under the Customs and Excise Management Act 1979. Matthew is developing a practice in sports law and is particularly keen to expand his practice in to areas of sports regulation/discipline including anti-doping. He is an experienced advocate appearing regularly in the High Court, County Court and Tribunals, including the Upper Tribunal. Advised a national association upon issues relating to the effect of disability discrimination law on golf clubs, including the different considerations relevant to proprietary clubs and private members’ clubs. Matthew is both a follower and participant in a range of sports enjoying cycling and playing golf and cricket and watching most sports including, in particular, cricket, cycling and horse racing. Matthew is developing a practice in sports law. He is an experienced advocate appearing regularly in the High Court, County Court and Tribunals, including the Upper Tribunal.